Marvel Studios made one of its smallest characters a big star in 2015’s Ant-Man, and now Paul Rudd’s size-changing superhero is poised to return alongside Evangeline Lilly in the team-up movie Ant-Man and the Wasp. The latest update on the film delivers some new images and details from the film. The sequel to Ant-Man brings back director Peyton Reed, as well as Rudd and Lilly as Scott Lang and Hope van Dyne, respectively. Set after the events of Captain America: Civil War, which saw Ant-Man experiment with his ability to enlarge his body in addition to shrinking, Ant-Man and the Wasp also brings back Michael Douglas as the original Ant-Man, Hank Pym, and introduces Michelle Pfeiffer as Janet van Dyne, the original Wasp. Scheduled to hit theaters July 6, 2018 — hot on the heels of Marvel’s star-studded showstopper, Avengers: Infinity War — Ant-Man and the Wasp will be the 20th movie in Marvel’s rapidly expanding cinematic universe. Here’s everything we know about the movie so far. An April interview with the Ant-Man and the Wasp cast and creative team featured in Entertainment Weekly offered up a few more details about the film’s plot, as well as some new photos from the anticipated Marvel movie. According to Lilly, Scott Lang’s return from the microscopic Quantum Realm in the first film was a defining point in the mythology surrounding the size-changing superheroes. As for the film’s sinister, phase-shifting villain, Reed explained why The Ghost will be played by actress Hannah John-Kamen (Ready Player One) in the film, despite the character being male in the Marvel Comics universe. The first, official trailer for Ant-Man and the Wasp was released January 30, and the preview makes it clear early on that Lilly’s flying, size-changing character is no sidekick to Rudd’s Ant-Man. In fact, she delivers some of the trailer’s most memorable action sequences. Hank Pym (Douglas) also seems to have been hard at work, as the footage features extensive use of a few new tools in Ant-Man and Wasp’s arsenal, including a device that changes the size of just about anything it’s used on — and that apparently includes a van in motion, a Pez dispenser, and even an entire building. 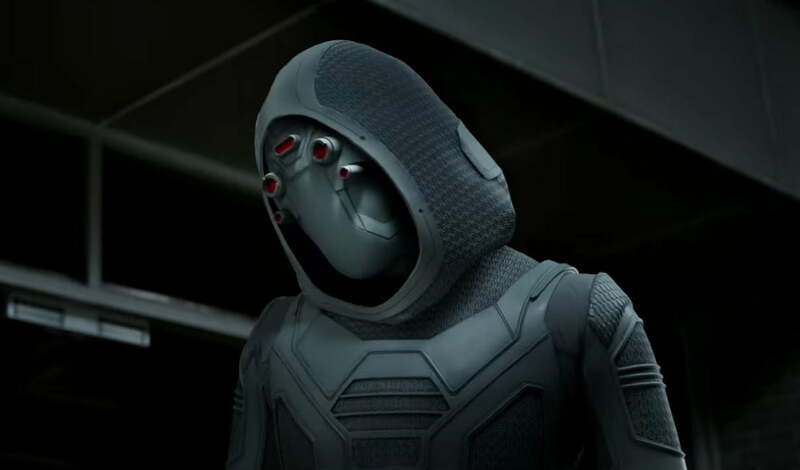 The trailer also sets the events of the film firmly after Ant-Man’s exploits in Captain America: Civil War, which put him on the wrong side of the law yet again, and offers our first good look at Ghost, the Marvel Comics villain played by John-Kamen in the film. In January 2018, Disney and Marvel Studios paired the release of the official plot synopsis for Ant-Man and the Wasp with a new photo from the film featuring the titular, size-changing superheroes. 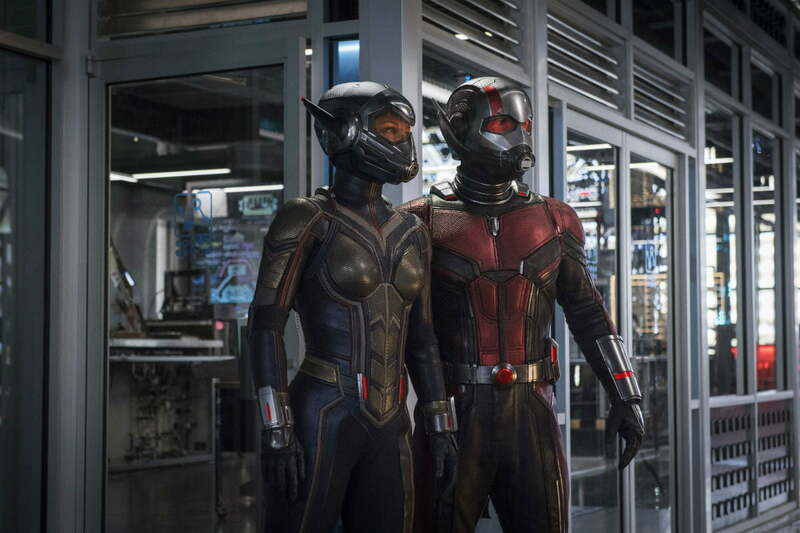 The photo features Lilly and Rudd in costume as Wasp and Ant-Man, respectively, and puts the spotlight on the high-tech suits that will allow them to change size for more adventures in the microscopic Quantum Realm. In July, Killjoys and Game of Thrones actress John-Kamen was cast as the mercenary corporate espionage agent Ghost, who’s expected to be one of the film’s lead villains. Now, photos of John-Kamen in costume on the set of the film have found their way online, and they offer a peek at how the movie will tweak her Marvel Comics character and a preview of what appears to be a brawl between Ghost and Wasp (Lilly). The photo appeared on a Spanish-language Instagram account and was accompanied by a video of the fight scene being filmed. The photo and video make it clear that John-Kamen’s character is being reworked quite a bit for the movie (beyond simply changing the character’s gender), but it’s unknown how big of a role she’ll play in the story. 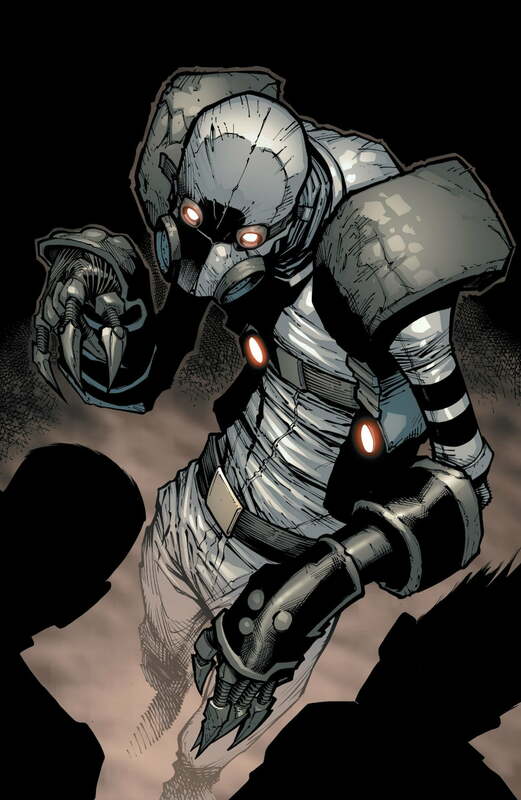 In Marvel’s comics canon, Ghost is a former engineer who developed technology that could remain functional while simultaneously becoming intangible (and eventually invisible, too). After he was double-crossed by his corporate bosses, he merged his own consciousness with the tech he developed, and began a career as a high-priced mercenary specializing in corporate espionage. Created by David Michelinie and Bob Layton, the character Ghost first appeared in a 1987 issue of Iron Man, and went on to become a frequent thorn in the side of Tony Stark and other Marvel heroes. On August 28, which would have been the 100th birthday of Jack Kirby, co-creator of Ant-Man and the Wasp, Evangeline Lilly posted the first, official photo of herself in costume as the winged superhero. 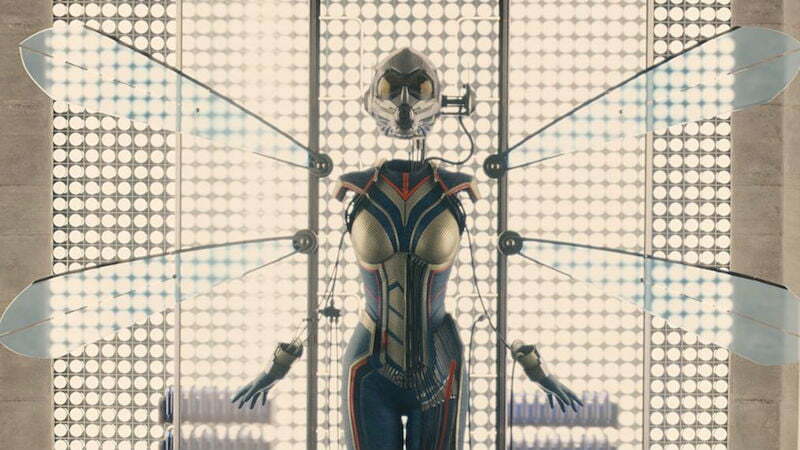 The actress released the photo on Twitter, and it shows her in the Wasp’s size-changing suit, sans helmet. “I am honoured to be on set today playing #TheWasp on what would be Jack Kirby’s 100th birthday. #ThankYouJackKirby #AntManAndTheWasp,” wrote Lilly in the photo’s caption. A month later, Lilly was seen on the set of the film in full costume — complete with helmet. A series of photos posted on JustJared.com featured Lilly in the same Wasp suit seen in the previous photo, and offered the first look at the helmet she’ll wear as the size-changing superhero. The suit shown in the photo differs from both the original suit depicted in the mid-credits scene from Ant-Man (pictured below) and Andy Park’s painted poster for the film, so it’s uncertain whether this will indeed be the Wasp’s final costume or some alternate version of her outfit for the film. Details are scarce regarding the plot of Ant-Man and the Wasp, but early indications suggest that Scott Lang (Rudd) and Hope van Dyne (Lilly) will find themselves teamed up on a new mission involving secrets from Hank Pym’s early adventures as the original Ant-Man. Scott will be doing all of this while trying to balance the demands of being a father with his newfound role as a size-changing superhero. One particular element of Hank’s past that will be introduced in the film will be his wife, Janet van Dyne (as played by Pfeiffer), the mother of Hope. The 2015 film indicated that Janet was lost in the Quantum Realm during a top-secret mission with Hank, so it’s reasonable to expect that the sequel will shed some light on that mission and Janet’s fate. Fans wondering if the romantic aspects of the relationship between Ant-Man and the Wasp will make the transition from Marvel Comics page to screen are also likely to get some answers in the sequel, as Reed indicated in December 2015 that this is one of several elements he’s looking forward to exploring down the road. “[The relationship between Ant-Man and the Wasp] is a thing that, in the comics, was a romantic partnership and a heroic partnership, so it’s going to be fun to play around with that and discover what the movie version of that is,” he told Comic Book Resources. The script for Ant-Man and the Wasp was penned by The LEGO Batman Movie and Spider-Man: Homecoming writing team of Chris McKenna and Erik Sommers, as well as Andrew Barrer (Haunt), Gabriel Ferrari, and Rudd himself. Along with Rudd, Lilly, and Douglas, several supporting cast members from the 2015 movie will also be returning. Michael Peña, David Dastmalchian (pictured above), and Tip “T.I.” Harris will all return as the members of Scott Lang’s heist team from the first film. They’ll be joined by returning cast member Judy Greer as Maggie, Scott’s ex-wife and the mother of Scott’s daughter; and Bobby Cannavale as Paxton, the San Francisco police officer who was engaged to Maggie in the original movie. Abby Ryder Fortson will also return as Cassie, the daughter of Scott and Maggie. Newcomer Michelle Pfeiffer as Hope’s mother will be joined by Laurence Fishburne (pictured below) as Bill Foster, a character from the Marvel Comics universe who was initially Hank Pym’s laboratory assistant and later became the size-changing superhero Goliath. In July 2017, several casting announcements were made in the lead-up to — and during — Marvel Studios’ annual panel at Comic-Con International in San Diego. Among the additions to the cast were John-Kamen as Ghost, Sons of Anarchy and The Hateful Eight actor Walton Goggins as Sonny Burch, and The Interview and Veep actor Randall Park as S.H.I.E.L.D. agent Jimmy Woo. Although Marvel Studios first announced plans for Ant-Man and the Wasp in October 2015, it took until July 2017 for the studio to give fans their first look at the highly anticipated sequel. During the annual Comic-Con International convention in San Diego, Marvel debuted the official logo for Ant-Man and the Wasp, along with some concept art featuring both Scott Lang and Hope van Dyne in their super-powered, size-changing suits. Just after the Marvel panel concluded, artist Andy Park revealed (via Twitter) the official poster art he created for the film featuring its two leads and some of the supporting cast. 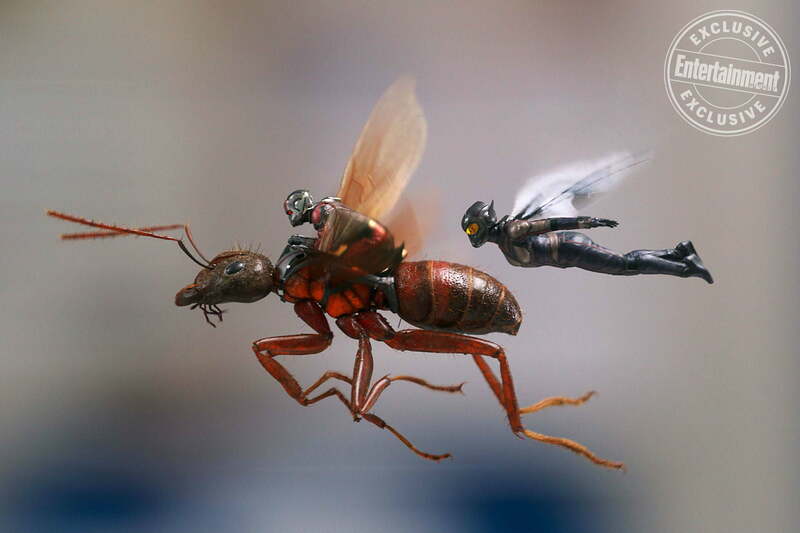 The painted image appears to show Scott Lang in his massive “Giant-Man” form that debuted during Captain America: Civil War rather than his microscopic Ant-Man persona. In addition to giving us a good look at Giant-Man in action, the poster also features a detailed look at the preliminary design for Wasp’s costume in the film. Marvel kept excitement high for Ant-Man and the Wasp with a 14-second teaser the studio released a week later, announcing the start of production on the film. The brief video revealed the set of the film and a pair of monitors, then zoomed in on two tiny chairs designated for Ant-Man and Wasp. Ant-Man and the Wasp is scheduled to hit theaters July 6, 2018. Updated on April 20: Added a new image and details about the film.